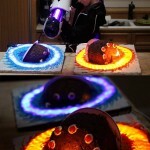 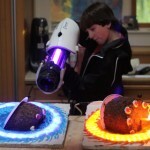 Global Geek News > Cool pictures > This Perfect Portal Wedding Cake is Not a Lie! 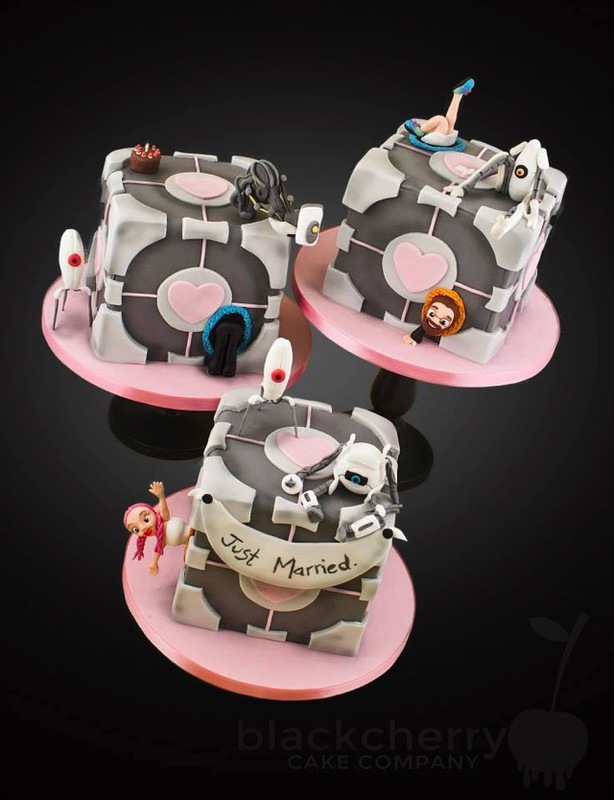 In the past, I have posted a ton of Portal cakes (just search for Portal cakes on the right to find them all) including a wedding cake that looks like a Companion Cube with Atlas and P-Body toppers. 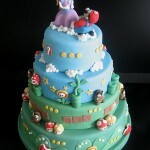 However, the one I found today which you can see below blows them all away or I suppose you could say takes the cake! 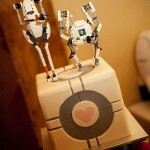 This Portal themed wedding cake which is actually three cakes that look like Companion Cubes that features various characters from the game including P-Body, Atlas and GLaDOS was created by Black Cherry Cake Company. 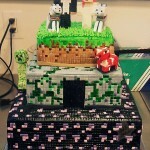 This is definitely one of the the cooler wedding cakes I have seen and the best part is that this cake isn’t a lie!